Wanna know “the Frequency of your heart by doing Extreme sport or Yoga” ? or “The moments you heart leaps up or quite inside” ? By wearing our MGCOOL Band 3 / 4 Fitness Tracker, all you have to do is just to raise your wrist up ! On the APP you can customize your exercise goals and training plans, trace your running with smartphone GPS, share your weekly health to social medias. Monitors your overnight sleep, the deep sleep and light sleep, through Smartphone app (iOS/Andriod) to check the sleep trend and help to improve the quality of sleep daily, weekly, and monthly. There is a 105mAh(B3) / 90mAh(B4) Li battery, which can stand by almost 20-30 days and enables the tracker keep working for 8-10 days. Battery life and charge cycles vary with use, settings and other factors. 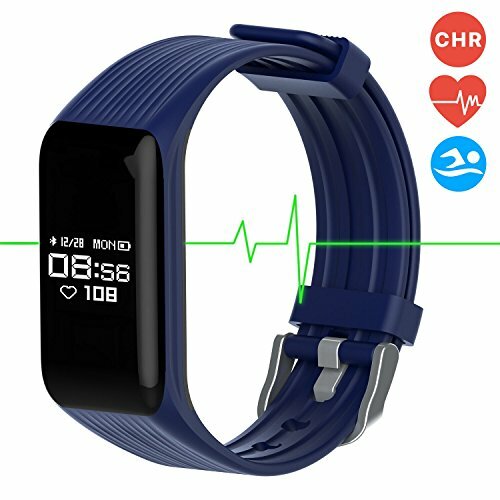 The strap of Band 3 / 4 is made from soft silicone with smooth finish for sporty look, and there are two colors of the band bracelet: black and red for your choice to fit your style.